Financial literacy (education on the management of personal finances) is an essential part of planning and paying for postsecondary education. Everyone needs to understand the options with respect to the vast array of financial products, services, and providers to make sound financial decisions. Affordable College Online Scholarship and grant database for women. Annuity.org Information for budgets, credit, retirement, etc. Credit Card Insider's Student Centers To help students learn about student loans and credit so they are more responsible with their finances. Provides publications, fact sheets, online tools, and other resources to help prepare and pay for college or career school. Simple Tuition Tips, advice, interactive tools, and deals to ensure students plan better for the cost of college, pay less for college-related expenses, and are smarter about how they manage and pay back their student loans. 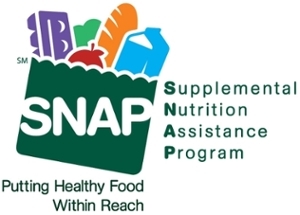 The Women's Resource Center is trained by Road Runner Foodbank to help you apply for the Supplemental Nutrition Assistance Program (SNAP)! We have applications in our office and are ready to help you through the application process. Microsoft Research Graduate Women's Scholarship a one-year scholarship program for outstanding women graduate students in their second year of graduate studies. Scholarships are granted by Microsoft Research at the discretion of Microsoft. AAUW source of funding for graduate women.